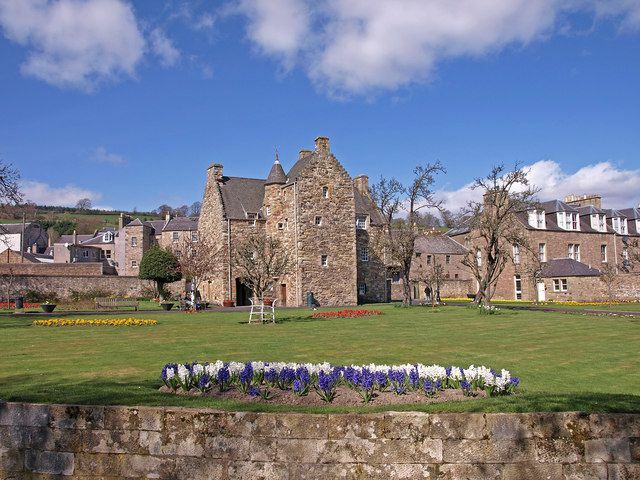 Mary Queen of Scots Visitor Centre, a 16th century tower house is one of the oldest buildings in the historic town of Jedburgh. The house is set in a picturesque pear tree garden. Queen Mary herself visited the house in 1566 when on an official tour. She fell extremely ill, whilst there, remarking “would that I had died in Jedburgh”. The visitor centre contains a collection of artefacts about Mary’s life and the “cult of Mary” that surrounded her. These are spread across a number of themed rooms, such as the Rogue’s Gallery, with information about the important figures in the Queen’s life, and the Last Letter Room, containing her final recorded thoughts before her execution. The story of Mary’s life and death is told through a wide range of different items, including textiles, paintings, letters and even her death mask, which is one of the most prized pieces on display. There is also an audio tour available to provide even more information about this interesting collection.